Believe it or not, the idea for this came about as I was in the salad bar line at work, watching someone put clumps of tofu (I believe that's the technical term) on their salad. And I thought to myself, "Hmmm...I have honestly NEVER tried tofu before." ...proceeded to move on. NO WAY am I trying tofu! I imagine its texture and taste to be a bit like a kitchen sponge. Am I right? 1. I HAVE NEVER eaten tofu. Obvs. 2. I HAVE NEVER driven successfully driven a stick-shift car. 4. I HAVE NEVER really felt the urge to get a tattoo. Of anything. Anywhere on my body. No thanks. 5. I HAVE NEVER been to Vermont (even though I live in New England). 6. I HAVE NEVER seen any of the Godfather movies. Or Scarface. 7. I HAVE NEVER ridden a horse. 8. I HAVE NEVER had a surprise party. 9. I HAVE NEVER broken a bone. 10. I HAVE NEVER drank a cup of coffee. 12. I HAVE NEVER been on Pinterest...yet. Ok, your turn. What's one thing you have never done before? I actually have quite a few of those in common with you! And you HAVE to go to Vegas. It's awesome. I'm going to BBC Vegas in October...you should come!! "I have never had a drink in my entire life." (Just wanted to make sure you were awake). For reals though...I have never lived anywhere longer than 6-years in my life. I have never been to Nantucket, the Vineyard, or the Hamptons. I have never had a bikini wax and I'm scared as hell to get one. okay so I am with you on #3 (except for the Grey's part- I did get hooked for one season), #4, #5, #6, #8, #11 (Vegas - the adult DisneyWorld and I really would like to make it there before I am 40, but the may be unrealistic at this point), and #12 I acutally have my invite but haven't taken the plunge yet. I am just worried that it will cause me to waste even more time than I already do. I've never traveled through Europe, birth a child vaginally, feed my babies formula, bungee jumped, or drank whiskey. And along with the Mommyologist no Bikini Wax-because yes it does scare me! I have never left a comment on a blog before.....until now. I just wanted to let you know how nice it is to hear from you again! I only started reading your blog about 6 months ago, and didn't realize how much I enjoyed it until you disappeared! You had me at #3, until you listed "Grey's". And #12. I've also never been to Vegas. Or Canada, which I'm told is just Northern Vermont to us New Englanders. Good way to jump start blogging again! Ok, I can't thing of anything good - weird things happen to me, or around me, or just in my life. My husbands suggestion is "I have never run naked in the rain." Which is funny, because I have never run naked, in any weather. 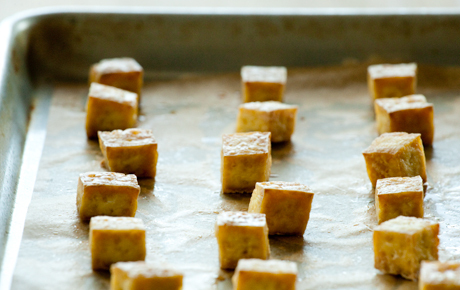 Tofu is can actually be pretty good if you know what to do with it (I don't anymore)! But yes....chunks on top of stuff? No thank you. I have several tattoos (and want just one more), and drink copious amounts of coffee. We've been to Disney World once, and it was a lot of fun. And I've been to Vegas a couple of times (not quite as much fun). I have never bungee jumped ( nor will I). I've never had a full-time job (teehee!). I've never felt the urge to get a tattoo either (phew! ).